This is how I build the handles on my hidden or through tang knives. 1. Cut a slot in the end of the tang. 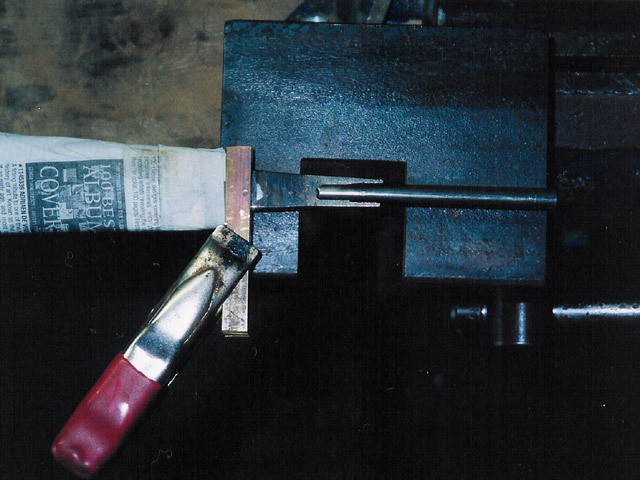 Cut a slot in a section of mild steel round stock that will mate with the slot in the tang. I use a fiber cut-off blade mounted in a bench grinder, with a tool rest, to complete this job.You can see the rest I have clamped the blade to. It is a section of angle iron clamped in my large vise. 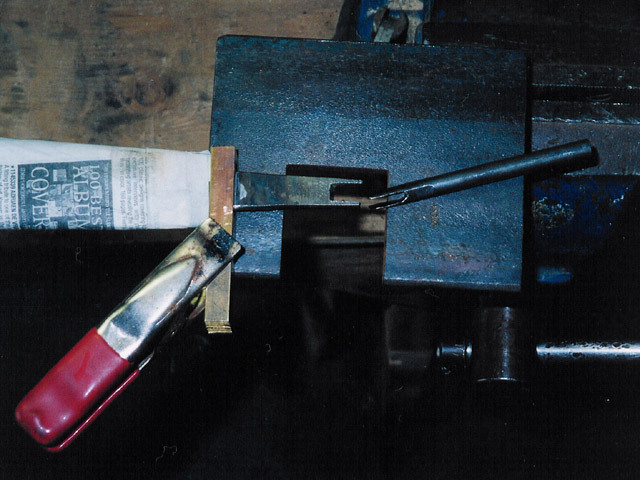 It has an area cut out of it where the tang and extension meet so that the brazing can be done without the rest getting in the way, or brazing the knife to the rest. 2. Here you can see the two parts fitted together and ready to braze. The two parts should fit very tightly together with very little to no gaps.I use silver brazing rod to attach the two. I usually tin the extension first, then heat the tang and extension and fit them together. 3. Here is the knife after brazing. The tang can now be threaded to accept a pommel, as well as bent to whatever angle is necessary to fit the handle material. 4. 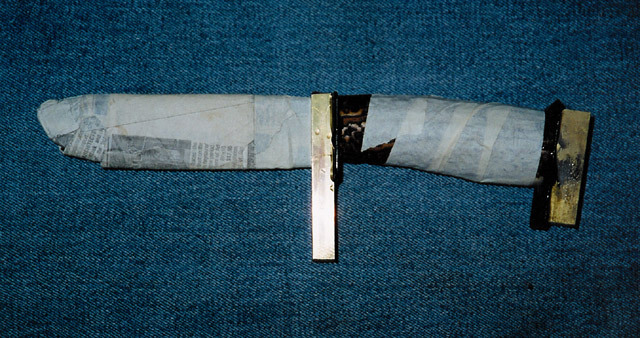 Here you can see the stag taper, spacer materials and brass pommel has been attached and epoxied together.The pommel has a nut silver brazed to it, which threads onto the end of the tang extension, making a very solid handle, and thus a dependable knife.